Mental health screening based on the Diagnostic and Statistical Manual of Mental Disorders (DSM) and the International Classification of Disease (ICD) —a key international psychiatry strategy—is a major situation right now that not only is the means by which psychs and Pharma drum up new business, it is a major threat to the civil liberties and freedoms of all those in the U.S. and elsewhere. This article explores the history of mental health screening. 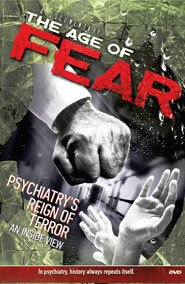 For more information on the fraudulent nature of the DSM and the dangers of psychiatric drugs, explore the rest of this site and www.CCHR.org. For more information about screening school children, download the TeenScreen report. Last year, at least 6-8 federal bills demanding mental health screening—in some cases mandatory—were introduced. This was a serious breach of human rights. Since January 6, 2009, 11 federal bills implementing mental health screening have been introduced. This will only lead to more drug treatment. Psychiatry and Pharma have invented hundreds of mental health screening questionnaires devised from the symptoms of “disorders” in the DSM, with drug companies paying for and copyrighting these. These are all over the Internet, where any “lay person” can complete it, diagnose themselves and go ask their doctor for the drug recommended for it. After acquainting yourself with this information about mental health screening you may wish to suggest to your state representatives that they pass legislation to safeguard citizens from this kind of psychiatric abuse. Click here to download Model Legislation that you can provide to your state representatives. What is Mental Health Screening? A “screen” is a test for some condition, in this case a test for mental illness. A person who is screened and found to exhibit so-called symptoms of mental illness can then be diagnosed with a mental “disease” or “disorder” and referred to a psychiatrist or psychiatric facility (or even to a General Practitioner) to be prescribed psychiatric drugs. Last year, at least 6-8 federal bills demanding mental health screening—in some cases mandatory—were introduced. Since January 6, 2009, 11 federal bills implementing mental health screening have been introduced. This will only lead to more drug treatment, with drugs that have been shown time and again to cause harmful side effects including addiction, violence and suicide. Psychiatry and Pharma have invented hundreds of mental health screening questionnaires devised from the fraudulent symptoms of “disorders” in the DSM, with drug companies paying for and copyrighting these. These questionnaires are all over the Internet, where any “lay person” can complete it, diagnose themselves and go ask their doctor for the drug recommended for it. Marginalized by the field of medicine because of its lack of scientific credentials, psychiatry today works hard to create an apparent scientific image for its diagnostic system, the Diagnostic and Statistical Manual of Mental Disorders (DSM), and the use of prescription psychiatric drugs. As a result of such marketing efforts, general practitioners now prescribe up to 80% of antidepressants. It is vital that medical practitioners universally reject the DSM diagnostic system as a pseudo-medicine and as a danger to their patients. Patients with actual physical conditions are routinely misdiagnosed with psychiatric disorders, then drugged or institutionalized. Numerous studies show that undiagnosed and untreated physical problems can cause behavioral and emotional problems, not to mention the many problems caused by adverse reactions (side effects) to psychiatric drugs. Proper medical screening by non-psychiatric diagnostic specialists could eliminate more than 40% of psychiatric admissions. In 2003, the U.S. New Freedom Commission on Mental Health (NFC) recommended mental health screening of all of the following: children, pregnant and new moms, all patients through primary care doctors and General Practitioners (GPs), as well as those in juvenile centers, the justice system, the work force and the military. These recommendations were being acted upon with the federal government offering funding to states that implemented these programs. Illinois passed the first screening bill, the “Children’s Mental Health Act” on August 8th, 2003, less than one month after the NFC report was released. Illinois, considered the “testing ground” for NFC, according to Psychiatric Times, planned to screen all children from birth to 18. Massachusetts, Indiana and New Jersey subsequently passed mental health screening laws and more states have introduced them. In Indiana, it is mandatory for children to be screened from birth. Massachusetts requires that all 460,000 children covered by Medicaid from birth to 21 be subjected annually to mental health screening. New Jersey screens all pregnant and new moms for postpartum depression and amended its Mental Illness Act to enact special “screening centers.” The police there have the power to pick up anyone considered a danger, transport them to a “screening center,” where they can then be referred for involuntary commitment. NFC PROGRAM: Federally, a Senate and House ‘‘EDUCATION BEGINS AT HOME ACT” was introduced in 2007 to allow “child development specialists” to enter homes and screen and evaluate how the parents were raising children from birth to 5 years old. It implemented an NFC recommendation about an “early intervention” program called “Nurse-Family Partnership,” a psych–based program. NFC PROGRAM: Another federal bill, “PROVIDING RESOURCES EARLY FOR KIDS ACT OF 2008 (PRE-K ACT)” expanded mental health screenings and referrals to include preschool aged children. NFC PROGRAM: Federal “MOTHER’S ACT” called for all pregnant and new moms to be screened for mental disorders, especially postpartum depression. Rep. Bobby L. Rush (D-Illinois) introduced the House version in 2001, which failed but persisted in reintroducing it. In 2007, it passed the House almost unanimously. Senator Richard H. Durbin (Illinois) introduced the Senate version that didn’t pass initially and was then reintroduced last year by Senator Robert Menendez (New Jersey). In December 2007, the state of Illinois enacted a “mother’s act” to screen for and treat postpartum depression in pregnant women. Funding to mental health care under the MILITARY CONSTRUCTION AND VETERAN AFFAIRS APPROPRIATIONS 2009 bill was, at $3.8 billion, the highest-ever. In April 2008, Senator Edward Kennedy introduced the NATIONAL GUARD & RESERVE ACT OF 2008 to increase mental health treatment for the National Guard and Reserves. Senator Patrick Kennedy introduced a similar bill in the House. Mental health care includes screening for Post-Traumatic Stress Disorder (PTSD). European Army medical officials announced this year that they are implementing the new “Re-Engineering Systems for the Primary Care and Treatment (R-E-S-P-E-C-T) of Depression and PTSD (RESPECT-MIL)” program that will screen all soldiers for PTSD and other mental disorders. The program is being implemented worldwide. In 1998, the UK introduced ANTI-SOCIAL BEHAVIOR ORDERS (ASBOs)—court orders that imposed restrictions on anti-social behavior and could be issued to anyone aged 10 years or over. Breach of an ASBO is a criminal offense. In 2006, Prime Minister Tony Blair announced ASBOs would be strengthened to include screening for behavior prebirth in high-risk families to prevent babies from being born and growing up delinquent (eugenics). In 2006, the UK Government established “THE FIXATED THREAT ASSESSMENT CENTER” under Scotland Yard, using psychs to identify individuals who potentially pose a threat to VIPs, including the Prime Minister, Cabinet members and the Royal Family. Police could identify suspects, the psychs would review their files and decide whether or not to involuntarily commit them without trial—just like Soviet psychs and the KGB did to incarcerate political dissidents. It was seen as a potential pilot for introducing something similar in the U.S.
NFC PROGRAM: Last year, Senator Joe Biden (soon to be Vice President) introduced the “RECOGNIZING ADDICTION AS A DISEASE ACT OF 2007,” which redefines alcohol and substance abuse as “brain diseases.” He wanted the name of the National Institute on Drug Abuse to change to the National Institute on Diseases of Addiction, and the National Institute of Alcohol Abuse and Alcoholism to change to the National Institute of Alcohol Disorders and Health—“propaganda by redefinition of words.” There is already a National Alcohol Screening Day, which includes numerous screening tools to get people abusing drugs and alcohol to seek psychiatric treatment. Pharma, World Health Organization, World Bank and World Psychiatric Association have developed “checklists” (based on DSM disorder symptoms) and “flow charts” for GPs to screen overtly or covertly patients for mental disorders and prescribe specifically named drugs. In 1995, Pharma developed the Texas Medication Algorithm Project (TMAP) in the U.S. that did just this and mandated what drugs insurance companies should cover. The “SPHERE” program in Australia, funded by Pfizer, did something similar and was also aimed at GPs. The U.S. psych front and Pharma-funded group “Screening for Mental Health, Inc.” has on-line screening questionnaires for psychs’ strategic areas: Colleges, Military, Primary Care Providers (GPs), Youth Programs (schools), Workplaces, General Public, Community Providers/organizations and Government Agencies. There are scores of online psych screening questionnaires available through the Internet. The APA’s American Psychiatric Foundation partnered with some of the biggest businesses and finance companies in the U.S. to promote mental health screening and access to mental health programs through the workforce. Its partners include drug companies, Pharma-funded “patient advocacy” groups, Coca Cola, big finance companies, financial management companies, including Merrill Lynch, and the New York Mercantile Exchange (financial commodities). 1981: The Diagnostic Interview Schedule (DIS) was developed, based exclusively off the DSM-III at the request in 1978 of NIMH’s Division of Biometry and Epidemiology that needed a large scale, multi-epidemiological study that could be administered by either lay interviewers or clinicians. Later, DIS-II was a revision produced when researchers from Columbia University, who were also leading the construction of DSM-III, became co-authors. “The DIS faithfully turns the DSM diagnostic criteria into questions.” Symptoms such as “markedly diminished interest or pleasure in all, or almost all, activities most of the day, nearly every day,” was turned into a question such as: “Have you ever had a period of at least two weeks when you lost interest in most things or got no pleasure from things which would usually have made you happy?” Since then, the DIS has been used across a very wide range of projects [including research and clinical drug trials], and the World Health Organization (WHO) adapted it to create the Composite International Diagnostic Interview (CIDI). 1983: A U.S. Congressional Resolution was passed, establishing the first full week of October as “Mental Illness Awareness Week, later used for mental health screening. 1987: American psychiatrists vote to include ADHD in the DSM. 1988: Prozac was approved in December 1987 and on the market by early 1988. 1988: UK: The Crime and Disorder Act enacted a plan to identify and target “anti social behavior” with “Anti-Social Behavior Orders” (ASBOs), implemented in 1999. ASBOs are court orders to impose restrictions on anti-social behavior and can be issued to anyone aged 10 years or over. Breach of an ASBO is a criminal offense and can lead to custody, with a maximum penalty of five years' imprisonment or a fine of up to £5,000 (US $9,528) for an adult offender. 1989: An American Psychiatric Association (APA) “Campaign Kit” was produced to target GPs using a checklist of items to diagnose mental illness and to act as referrals to psychs. 1989: NIMH director Lewis Judd came up with a marketing idea to drive more research dollars into NIMH and mental health—the “Decade of the Brain.” A Congressional Resolution was introduced and, by July 17, 1990 had passed the House and Senate and was signed into law as Presidential Decree. The key to this was convincing people of the chemical imbalance theory. 1990: WHO, spearheaded by European psychiatrist Norman Sartorius, and Darrel Reiger of the NIMH (later medical director of APA), developed the Composite International Diagnostic Interview (CIDI), where national populations could be surveyed to determine and compare types and levels of so called mental disability. This was an extension of the 1981 Diagnostic Interview Schedule (DIS). The CIDI addressed the problem that the DIS diagnoses were exclusively based on the definitions and criteria of the DSM, when the international standard diagnostic system used is the WHO’s International Classification of Disease (ICD). CIDI combined DSM and ICD. The very first section in the WMH-CIDI interview is Screening. All respondents of the CIDI were required to complete the entire screening section. 1990: March 5-9: UNESCO, The United Nations Development Program and the World Bank sponsored the “World Conference on Education for All” (WCEFA) defining six goals to “improve” education for all children, and included mental health assessments in schools. 1990: The Child and Adolescent Functional Assessment Scale (CAFAS) was developed to assess "Role Performance, Thinking, Behavior Towards Others/Self, Moods/Emotions, and Substance Abuse." Other measures included the Social Competence scale of the Child Behavior Checklist (Achenbach and Edelbrock, 1983) and The Colombia Impairment Scale. 1991: National Depression Screening Days (funded by Eli Lilly). During the screening process, individuals were required to answer a modified version of the Zung Self-Rating Scale, lasting less than five minutes. They then watched a video on how “treatable” depression is. The screening program was run by a non-profit front group, the National Mental Illness Screening Project (Screening for Mental Health, Inc.), paid for by pharmaceutical companies. Today, year-round screening is available 24 hours a day and it takes less than four minutes to answer 10 questions. The computer analyzes the touch phone responses, and the caller is then told how depressed he is. The 800 numbers are individualized for special populations and will immediately link the caller to facilities like employee assistance programs, university health services, hospitals, or insurers. Today, screening for Mental Health Inc.’s website shows how its targets have branched out to include: Colleges, the Military, Primary Care/Specialty Care Providers, Youth Programs, and the Workplace. It also includes the all-encompassing target “For the Public,” with a section on Community Providers and government agencies. In 2006 alone, it conducted nearly 600,000 screenings at 12,000 facilities using SMH programs. These screening questionnaires are available on-line. In 2008, it was reported that the IRS records indicated that the group received $2,823,425 in donations from major pharmaceutical companies and $5,974,217 from the US Department of Health and Human Services. The companies making these donations were Eli Lilly, Pfizer, Solvay, Abbot Labs, Forest Labs, and Wyeth, as well as, Robert Wood Johnson Foundation and GSK. For 2004 alone, Lilly gave $600,000, Pfizer $125,000, Wyeth $100,000 and Forest Labs $153,000. In addition, Pfizer copyrights the free online depression-screening test. 1992: Associate Clinical Professor of Psychiatry, Douglas Jacobs, founder of the National Mental Illness Screening Project, claimed that 10% of any workforce suffers from depression at any one time, but it is “treatable” with “counseling and medication.” His screening program was also made available to Harvard University faculty, staff, their families and retirees who were referred to the “Faculty and Staff Assistance Program’s 495-HELP” number for treatment referral. The National Mental Illness Screening Project teamed up with another organization, “Harvard Telepsychiatry Project” to work on ways to extend psychiatry and psychology’s reach through telecommunications technology. The first anonymous telephone-screening program was launched in 1995. 1991-1992: AUSTRALIA. A Health Ministers Advisory Council (HMAC) put together early intervention programs to prevent/treat mental illness. The program emerged from two WHO Charters. GPs would often be targeted as the initial point of contact for individuals, and their skills needed to be improved to assess, diagnose, and treat. They also recommended using teachers, police and other public servants to assist in identification and referral. 1993: PRIME-MD was developed and published as the first standardized test designed by both psychiatrists and primary care physicians to help screen, evaluate and diagnose mental disorders most commonly seen in primary care settings. 1994: DSM-lV was released. The number of disorders increased from 253 to 374. 1994: Diagnostic Classification of Mental Health and Developmental Disorders of Infancy and Early Childhood, Revised (DCL0-3R) ZER0 TO THREE was the first “developmentally based system for diagnosing mental health and development disorders in infants and toddlers.” The organization, “ZERO TO THREE,” established in 1977 by “top experts in child development, health and mental health,” and still existing today, trains professionals, policymakers and parents in mental health development for infants and toddlers. 1995-1997: Texas Medication Algorithm Project (TMAP) was developed by psychs and Pharma. Algorithms—or problem-solving formulas—are often used in medicine to improve and standardize decisions made in the delivery of care. A Robert Wood Johnson grant and those made by several drug companies, including Abbott, AstraZeneca, Bristol Myers Squibb, Novartis, Janssen, GlaxoSmithKline, Pfizer, Wyeth-Ayerst, Johnson and Johnson, Novartis, Forest Labs and Lilly, contributed directly to the development of the guidelines and their promotion to other states. 1996: Under Dr. Norman Sartorious (also connected to WHO) WPA developed an educational program called “Core Curriculum in Psychiatry for Medical Students” aimed at getting medical students educated about recognizing mental illness. It defined what attitudes medical students should have to mental illness and included attitudes they needed to have towards psychiatry. 1997: WHO created the International Consortium in Psychiatric Epidemiology (ICPE) to conduct worldwide population surveys on prevalence of mental illness. 1998: Psychiatrists—primarily through the Collegium Internationale Neuropsychopharmacologicum (CINP), the NIMH and the WPA—developed more ways to garner support from GPs to diagnose mental disorders. WHO produced a Mental Disorders in Primary Care kit called “Diagnosis and Management of Common Mental Disorders in Primary Health Care” that was internationally distributed, to make it easier for primary care physicians to diagnose six key mental disorders, based on the DSM-IV and ICD-10. The project was supported by WHO, International Foundation for Mental Health and Neurosciences, and an educational grant from the drug company Synthelabo. The six key conditions were depression, anxiety, alcohol use disorders, insomnia, chronic fatigue, and somatoform disorders. Two separate assessment guides gave the practitioner the choice of using either a set of checklists, which began with initial screening questions, or a set of flowcharts [See TMAP above: 1995-1997]. In the checklist option, if the responses to the screening questions were positive the subsequent questions assisted the care provider in arriving at a correct diagnosis. The flowchart option illustrated the decision-making process and the criteria for teaching a differential diagnosis in accordance with ICD-10. 1998: By 1998, after nearly a “decade of the brain” research and promotion, “National Depression Screening Days” and the release of Prozac, more than 60 million prescriptions for antidepressants had been written—about 10% of the American population had been exposed to such drugs, including half a million children. 1998: New York State Public Health law 2803-J was the first public health law requiring that all hospitals and birthing centers provide information about Post-traumatic Stress Disorder. 1999: Dr. David Shaffer of Columbia University developed the TeenScreen program to screen large numbers of high-school students to identify them as at risk for suicide and to ensure that they receive treatment. Shaffer later admitted it had a potential 84% chance of wrongly identifying teens to be at risk. He has had long-term ties to drug companies and has been a consultant for Hoffman La Roche, Wyeth and GSK. The ultimate goal of the TeenScreen Program was “to establish screening programs throughout our nation's communities so that all children could be screened and treated for mental illness just as they are for physical illness.” It was released through an organization called PATH: (Positive Action for Teen Health) headed by Laurie Flynn, former director of NAMI. By 2006, TeenScreen was used in 460 communities in 42 states. And, as a result, over 100,000 teens have been screened. Another screening questionnaire is the Brief Screen for Adolescent Depression (BSAD), an 8-item questionnaire completed in 5 minutes, also used during National Depression Screening Days. Funding sources for the DISC Development Group at Columbia and TeenScreen included federal government funds (NIMH and SAMHSA), pharmaceutical companies whose grants have been funneled through the NYS Psychiatric Institute Research Foundation of Mental Hygiene, Inc. and private foundations, Joy and William Ruane. William Ruane, who died on October 4, 2005, was the philanthropist who gave Dr. Shaffer, a long-time associate, $8 million in 1998 to develop TeenScreen and was the co-founder of TeenScreen. 1999: The PRIME-MD Today Patient Health Questionnaire, the first diagnostic test that can be entirely self-administered by the patient, was published as an extension of the PRIMEMD (1993) – also aimed at primary care physicians. It was a 26-item checklist the physician could use as a companion DSM-based instrument, to make a psychiatric diagnosis in an average of only 8 minutes. The physician could then prescribe medication or make a referral to a psychiatrist. The architects of DSM, including Robert Spitzer, were the main developers of Prime-MD. Pfizer paid for its development and holds the copyright to it. Pfizer paid for the training at symposiums of more than 6,000 primary care doctors in the use of Prime-MD. Another developer of this was Janet B.W. Williams of the Biometrics Research Department, New York State Psychiatric Institute and Columbia University. 1999: December: US Surgeon General’s Report on Mental Health says: "The schools and child welfare system are the initial points of contact for most children and adolescents, and can be useful sources of first-line assessment and referral, provided that expertise is available. The juvenile justice system represents another pathway..."
2000: The U.S. Surgeon General’s report on “Children’s Mental Health” issued its “blueprint” for addressing children’s mental “health,” including “early identification of mental health needs in existing preschool, childcare, education, health, welfare” and “juvenile justice,” development of a “universal measurement system” to identify children who may need “mental health services” and then track the child’s progress during treatment. 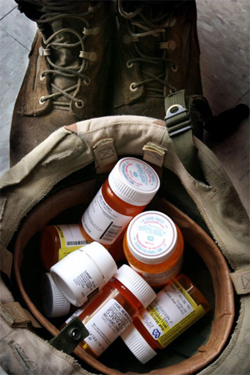 2000: Military: Pfizer gained FDA approval for Zoloft’s use in post traumatic stress disorder (PTSD). In addition, Pfizer funded the creation of the group, Post Traumatic Stress Disorder Alliance (PTSD). 2000: The APA revised the PTSD diagnostic criteria in DSM-IV-TR. Diagnostic criteria for PTSD included a history of exposure to a traumatic event that met two criteria and symptoms from each of the following three symptom clusters: intrusive recollections, avoidant/numbing symptoms, and hyper-arousal symptoms. A fifth criterion concerned duration of symptoms and a sixth assessed functioning. 2000: AUSTRALIA: NATIONAL ACTION PLAN FOR PROMOTION, PREVENTION AND EARLY INTERVENTION FOR MENTAL HEALTH was developed, with Part 2 of this document addressing the “Promotion, Prevention and Early Intervention for Mental Health” for 0 to 25 year olds. Early intervention programs were pushed within homes, childcare, preschools, prenatal and postnatal health, welfare services, housing services, refuges, financial services, arts, sports and recreational settings, public and private sector work places. Early intervention meant screening/identifying for those “at risk of developing a mental illness” or showing “early signs and symptoms” of a mental health problem. Identification was based on the DSM. 2000: AUSTRALIA: Beyond Blue, a national “depression” group was established as a nonprofit organization for the “prevention, promotion and early intervention strategy to raise awareness of depression.” Behind it was psych Harvey Whiteford, who worked with the World Bank planning its position on international mental health. Another psych, Ian Vickie, was the “clinical advisor” to and board member of BeyondBlue. Vickie established a training program for GPs called “SPHERE” that provided “checklists” of mental disorder symptoms and “flow charts” on how to prescribe what medication and for how long (similar to TMAP). Vickie received funding from Bristol Myers Squibb to develop the depression checklist (based on DSMIV). (83% of individuals are likely to screen positive for depression based on this checklist). Pfizer also funded SPHERE. Expenditure on psychiatric drugs increased 612% between 1992-93 and 2003-04. Drugs for “depression” and antipsychotic drugs accounted for about half of the total spending increase. In 2003, the government’s Public Benefits System spent $544 million on psychiatric drugs, representing 45% of the total federal mental health budget—its largest cost. 2000: The “mental health and work” program was launched in Australia. This evolved from a meeting of the World Federation for Mental Health and the World Health Organization’s International Labor Organization. Those groups recommended that analyses be conducted on the impact of mental health on the workplace in five countries. The project was funded by a grant from Eli Lilly. The analysis claimed an alarming impact of depression or untreated depression on productivity in the workplace. In 1991-92, “Work Cover NSW” recorded 473 workers’ compensation claims for “mental disorders,” including depression and anxiety. By 2003-04, it had risen to 3,226 claims, despite legislation introduced in 1996 to restrict compensation on psychiatric or psychological grounds. 2001: March 1: A Community Mental Health Center to be certified as a Medicare and/or Medicaid Community Mental Health Care Provider had to provide “core services” to meet the statutory definition of a CMHC and included, “Screening for patients being considered for admission to State mental health facilities to determine the appropriateness of such admission.” The Mental Health Screening Form (revised April 2007) is an 8-page form in which the interviewer ticks off a checklist of items, makes a diagnosis and then determines if the patient should be recommended for voluntary or involuntary treatment. 2001: June 28: Illinois federal representative Bobby Rush introduced the MELANIE STOKES BLOCKER ACT (MOTHER’S ACT) in response to the suicide of Melanie Stokes, a pharmaceutical company sales manager from Illinois. Stokes was suffering from “PPD” and taking a cocktail of antipsychotic, antianxiety and antidepressant drugs and subjected to ECT before committing suicide. The Bill required HHS and NIMH to expand research into postpartum depression and psychosis, and offer grants for treatment for those who suffered from PPD and education programs. The bill died, but Rush and Senator Durban (see next entry) continued to lobby for it, reintroducing it yearly until 2007, when, as H.R. 20, it passed almost unanimously through the House. 2001: October 11: Senator Richard H. Durban (D-IL) introduced S 1535, MELANIE STOKES BLOCKER ACT (MOTHER’S ACT). 2002: The Boston Globe exposed Merck, Pfizer and GlaxoSmithKline for marketing depression to children and “foreigners” abroad. University/College Campus promotion included: “Depression in College: Real World, Real Life, Real Issues,” a 90-minute forum designed to introduce students to the antidepressant Effexor (Wyeth). It featured doctors, psychologists and Cara Kahn, star of the MTV reality show, “Real World Chicago,” who was taking Effexor for depression. 2003: Veteran Affairs required regular screening for PTSD, considered the “first and most essential step in identifying and engaging Veterans with PTSD.” The Primary Care PTSD Screen (PC-PTSD) was considered the “required standardized PTSD tool” and was recommended in the Joint CA/Dept of Defense Clinical Practice Guideline for PTSD.” This was incorporated into the Dept. of Defense’s Deployment Screening Tool (DD Form 2796, April 2003), which was “administered to every deployed service man and woman, developed by the National Center for PTSD and designed for use in primary care and other medical centers.” There were also “self-reporting screening instruments,” such as the Post Traumatic Diagnostic Scale and other screening checklists, Clinician-Administered PTSD Scale (CAPS), the Structured Clinical Interview for DSM-IV (SCID), the Diagnostic Interview Schedule for DSM-IV (DIS-IV), and the Composite International Diagnostic Interview (CIDI)—all used on the military. Including an “Electronic Health Database” (In 2004, the FDA approved tiny implanted chips for under the skin that would be scanned to identify a patient and report their medical history). “Early detection of mental health problems in children and adults—through routine and comprehensive testing and screening with services to be expanded for “children ages 3 through 21,” including “social and emotional check-ups” in primary health care. An algorithm project– a flowchart of what do to – indicating what drugs to use for every “mental disorder.” One drug would be recommended and if that failed, another specific drug would be added. If that drug failed, two more drugs would be added. And, if that failed… electroshock. The flowcharts even included drug models for children—CMAP (Children’s Medical Algorithm Project)— recommended to be given to all medical doctors as part of state law. The first of these programs piloted was in Texas, called the Texas Medical Algorithm Project (TMAP). There was also Cal-Map, Penn-Map, Ill-Map, Fl-Map, etc. 2003: September 1: Texas House Bill 341, also known as the Andrea Pia Yates Bill, passed and required healthcare providers to treat pregnant women in order to provide them with information regarding counseling for PPD and other “emotional traumas” associated with pregnancy and parenting. 2003: AUSTRALIA: Its national mental health plan was revised for 2003-2008 and recommended “early intervention” across the lifespan of the population. Diagnoses were specified to be made according to the DSM or the ICD-10. 2003: December: The CCHR Traveling Exhibit was set up in an Illinois State Building where the Department of Health existed. The Exhibit was thrown out on the grounds that it purportedly forwarded Scientology religious philosophy and violated the separation of State and religion. In response, CCHR went head to head with attorneys for Illinois Governor Rod Blagojevich, who wanted it out. They lost. 2004: The Treatment Companion to the DSM-IV-TR Casebook was published, which described 34 cases of psychiatric disorders (31 of them taken from the DSM-IV-TR), and for each of them psychiatrists discussed how they would treat the patient described in the highlighted case. It was edited by Robert L. Spitzer, Michael B. First, M.D., Miriam Gibbon, M.S.W., and Janet B.W. Williams, D.S.W. 2004: October 13: The media reported that the FDA approved a tiny computer chip—the size of a grain of rice and called VeriChip—for implantation into a patient’s arm containing the patient’s identity and medical history that doctors could scan. Applied Digital Solutions of Delray Beach, Fl, was given the OK to market the chip. With the pinch of a syringe, the microchip could be inserted under the skin in a procedure that takes less than 20 minutes and leaves no stitches. The U.S. Department of Health and Human Services also announced $139 million in grants to make real President Bush’s push for electronic health records for all Americans within a decade. To kick off the chips use among humans, Applied Digital said it would provide $659 scanners for free at 200 trauma centers. 2004: October 21: U.S. federal legislation was enacted authorizing $82 million to be spent over 3 years for programs like TeenScreen. Recipients of federal grants under the Youth Suicide Prevention and Early Intervention Program in 2006 included: Arizona, Colorado, Kentucky, Maryland, Michigan, North Dakota, Ohio, South Dakota, Washington, West Virginia, and Wyoming. In New York State alone, officials said they would spend more than $60 million to expand youth suicide prevention initiatives such as TeenScreen in 2006, and screen over 400,000 kids by year’s end. 2004: November 17: UNESCO signed a Cooperation Agreement with Microsoft to develop a “master syllabus” which would be used to train all teachers and developed by UNESCO. On August 23, 2005 Governor Kempthorne (Idaho), the State Board of Education, representatives from the National Governors Association, the Bill and Melinda Gates Foundation (Microsoft), and the U.S. Dept. of Education launched their plan for Education Reform in Idaho [based on the UNESCO initiatives]. This, in turn, created a model for other states to follow. 2004: “Promoting Mental Health, Concepts, Emerging Evidence, Practice” was a report by WHO, Dept. of Health and Substance Abuse (Victoria), Victorian Health Promotion Foundation and the University of Melbourne. It defined the “Objectives and actions of health promotion” and terminology used: “interventions according to the levels of risk of illness (or scope for improving health) in various population groups…universal - directed to the whole population (e.g. good prenatal care), selected - targeted to subgroups of the population with risks significantly above average (e.g. family support for young, poor, first pregnancy mothers) or indicated -targeted at high-risk individuals with minimal but detectable symptoms (e.g. screening and early treatment for symptoms of depression and dementia).” Under “Pre-school educational and psychosocial interventions,” it said community programs for families with young children would include health screening clinics. 2005: The WHO released its CHILD AND ADOLESCENT MENTAL HEALTH POLICIES AND PLANS that recommended screening programs and interventions for mental disorders so that they could be targeted to the stage at which they are most likely to appear. 2005: Indiana governor Mitch Daniels—a former Eli Lilly executive—signed legislation, Senate Enrolled Act 2005, making mental health screening compulsory in his state, from birth forward. Daniels bragged that the bill would set direction for the entire nation. Circa 2005: The APA’s American Psychiatric Foundation set up a new group, “PARTNERSHIP FOR WORKPLACE MENTAL HEALTH” to target the workforce for mental health screening and treatment. The program’s partners Screening for Mental Health Inc. with the drug companies, AstraZeneca LP, Johnson & Johnson, Cyberonics, Inc. (known for brain implant treatments for depression), Dow Chemical Company, Centers for Disease Control and Prevention, Center for Mental Health Services (CMHS), Coca-Cola Company, Depression and Bipolar Support Alliance (DBSA), Academy of Organizational and Occupational Psychiatry (founded to unite psychiatry and the workforce) Delta Air Lines , Disability Management Employer Coalition (DMEC), 3M, Caterpillar (construction company), Cisco Systems (communication devices), Constellation Energy (electricity supplier), DuPont, the Employee Assistance Professionals Association (EAPA), JPMorgan Chase & Co. (financial services), Meritain Health (independent health insurance provider), Goldman Sachs (investment banking) Hughes Electronics Corporation (digital TV-entertainment provider), Merrill Lynch (financial management company); New York Mercantile Exchange (financial commodities future exchange); Mid-America Coalition on Health Care (Kansas City company coordinates healthcare employees, physicians, hospitals and pharmaceutical companies), National Association of Manufacturers (industrial trade association), PPG Industries (specialty products company), Society for Human Resource Management (SHRM) (human resource management), Provident Corporation (income protection insurance), and the U.S. Chamber of Commerce. 2006: Signs of Suicide (SOS) screening program was introduced under the “Screening for Mental Health Inc.” as a “self-assessment screening tool” provided free online. It was promoted as an effort to reduce suicides, alcoholism, depression and eating disorders. It was to be used in high schools, colleges, the workplace, and the military. As of May 26, 2006, Air force Col Joyce Adkins, a psychologist working at the Pentagon’s Health Affairs office, claimed that several thousand military people had been screened with SOS since it went online beginning of 2006. The development of the SMH’s screening programs was funded with millions of dollars from Big Pharma. 2006: Senate and General Assembly of New Jersey enacted the “Post Partum Depression Law” (signed on 13 April) to have healthcare facilities and doctors “educate” women and families about PPD. It stated that physicians, nurse midwives and other licensed health care professionals “shall [meaning mandatory] screen new mothers for postpartum depression symptoms prior to discharge from the birthing facility and at the first few postnatal check-up visits” and shall include “fathers and other family members as appropriate.” Newspaper reports showed that women who have called the “hotline” have subsequently been picked up by police and taken to mental health facilities, even against their will. In Indiana it is mandatory to screen children for mental illness starting at birth. Massachusetts required that all 460,000 children covered by Medicaid from birth to 21 be subjected annually to mental health screening in order to detect signs of possible mental illness, autism, or depression. New Jersey passed a law specifically to screen all pregnant and new moms for postpartum depression and amended its Mental Illness Act to enact special “screening centers” and “mental health screeners.” Police have the power to pick up anyone they consider is a danger and transport them to a “screening center” to get screened and committed. In February 2007, the state of Illinois introduced its “Postpartum Mood Disorders Prevention Act” and in December 2007, enacted the “The Perinatal Mental Health Disorders Prevention and Treatment Act” that provides screening and treatment for postpartum depression and other “disorders” for pregnant women pre and post birth. The term “perinatal” means DURING pregnancy. So women will be screened and drugged both during and after pregnancy. 2006: UK’s Prime Minister Tony Blair wanted ASBO’s strengthened (see 1988 entry) to include screening for behavior pre-birth. The state plans to prevent babies being born into high-risk families by identifying problem children who grow up to be a potential “menace to society” even before they are born. Families identified as likely to go off the rails would face regular checks by “social services staff.” The use of computer monitoring of families to predict who could become involved in anti-social behavior was also recommended. This was promoted under a national program called “RESPECT ACTION PLAN.” The Home Office— equivalent of Homeland Security in the U.S. and responsible for security for the country and overseeing crime and terrorism—has jurisdiction over this. Screening of schoolchildren (ages 11-16) to isolate antisocial behavior and to “prove” the efficacy of state intervention programs is based on the DSM. 2006: The UK Government established “THE FIXATED THREAT ASSESSMENT CENTER” (FTAC) under Scotland Yard, to identify individuals who pose a threat to VIPs, including the PM, the Cabinet and Royal Family. It was given sweeping powers to check more than 10,000 suspects’ files to identify “mentally unstable killers and stalkers with a fixation against public figures.” The team’s psychiatrists and psychologists were given the power to order treatment and forcibly detain suspects in secure psychiatric units, and could legally detain people for an indefinite period without trial, criminal charges or even evidence of a crime having been committed and with limited rights of appeal. The new unit used police to identify suspects. Scotland Yard refused to tell The Daily Mail in May 2007 how many suspects the team had forcibly incarcerated, arguing it would violate “patient confidentiality.” The purpose of the center was “to evaluate and manage the risk posed to prominent people by…those who engage in inappropriate or threatening communications or behaviors in the context of abnormally intense preoccupations, many of which arise from psychotic illness.” Forensic psychiatrist Dr. David James and forensic psychologist Robert Halsey were in the unit. Other staff members included a forensic community mental health nurse, 2 civilian researchers, and four police officers. It received a 500,000-pound a year budget. 2006: October: Indiana passed “THE CHILDREN’S SOCIAL, EMOTIONAL & BEHAVIORAL HEALTH PLAN” as part of the Senate Enrolled Act 529 that was enacted in 2005 aimed at mental health screening of children ages 0 to 5. The Mental Health Commission did not agree to mandate screening, even though the Act said this by using the word “shall” but did recommend screening of all Indiana children. 2007: January 4. Rep. Bobby L. Rush (D-Illinois) re-introduced THE MOTHER’S ACT (MELANIE BLOCKER STOKES RESEARCH AND CARE ACT, NOW H.R. 20) in the House of Representatives. The bill not only addressed expanded research into PPD but also provided for increased funding to execute a national public awareness campaign and to make resources available for local community mental health organizations that provide screening, counseling etc. for women and families. Supporters of the bill, that Rush named in his press release on the passage of the bill in the House, included NAMI, Children’s Defense Fund, Suicide Prevention Action Network, Depression and Bipolar Support Alliance, Mental Health America— all Pharma funded. 2007: May 2: Senate Bill 1271, ‘‘HOMECOMING ENHANCEMENT RESEARCH AND OVERSIGHT (HERO) ACT’’ was introduced to evaluate the physical, mental health, and readjustment needs of service members returning from the wars in Iraq and Afghanistan. The bill provided for a comprehensive national research to be conducted by the National Academy of Sciences in coordination with the Departments of Defense and Veteran Affairs on the physical and mental health and other readjustment needs of the members of the Armed Forces (Serving in Iraq and Afghanistan) and their families. 2007: May 11: Senate version of MOTHERS Act, S. 1375, “MOM’S OPPORTUNITY TO ACCESS HEALTH, EDUCATION, RESEARCH, AND SUPPORT FOR POSTPARTUM DEPRESSION ACT” was introduced sponsored by Rep. Robert Menendez (NJ). 2007: May 16: H.R. 2343, THE ‘‘EDUCATION BEGINS AT HOME ACT” (House version of the February 16 Senate bill 667) was introduced. 2007: May 23: S. 38 ‘‘VETERANS’ MENTAL HEALTH OUTREACH AND ACCESS ACT OF 2007” was introduced to expand mental health care access for veterans returning from Iraq and Afghanistan. Requires the Secretary of Veterans Affairs to establish a program for the provision of readjustment and mental health services to veterans (Iraqi and Afghanistan), including establishing contracts with community mental health centers and qualified entities for provision of services. The Secretary shall contract with a national not-forprofit mental health organization to carry out a national program of training for veterans in utilizing the best practices and technologies for outreach and support services. 2007: June 14: S. 713, ‘‘DIGNITY FOR WOUNDED WARRIORS ACT OF 2007’’ required that additional qualified medical staff be hired, and each case and social workers be required to be able to—(1) detect early warning signs of post-traumatic stress disorder (PTSD) and suicidal tendencies among recovering service members; and (2) promptly devise appropriate treatment plans as such signs are detected. Congress would appropriate $1,000,000,000 for each fiscal year 2008 through 2013 to carry out this act. 2007: October 15: H.R. 20, The MOTHER’S passed in the House: 382 – 3. 2007: October 16: S. 1375, Senate version of MOTHERS Act, was read twice and referred to the Committee on Health, Education, Labor, and Pensions. 2007: November 8: S. 2330, VETERANS HOMELESSNESS PREVENTION ACT was introduced. Embedded in the plan, designed to provide housing and services for veterans to prevent and address veteran homelessness, was funding for mental health counseling and services. Co-sponsors included Sen. Robert Menedez and Sen. Frank Luatenburg from New Jersey. The NFC recommended that “systematic mental health screening” be conducted on the homeless. There was also a “Homeless Prevention Screening Tool,” developed by the Office of Mental Health. 2007: November 13: Rep. Al Green (D-TX) introduced mirror bill, H.R. 4161: VETERANS HOMELESSNESS PREVENTION ACT. 2007: November: The APA’s PARTNERSHIP FOR WORKPLACE MENTAL HEALTH launched a new database of “employer innovations”—the “latest tool in advancing and promoting effective employer approaches to mental health.” It profiled numerous organizations covering some 19 different sectors of the workforce, including “arts and entertainment” to describe the practices of leading companies providing mental health education/referrals for service. You could search by employer, type of program, type of industry, number of employees, or geographical region. 2007: December: Massachusetts required that all 460,000 children covered by Medicaid from birth to 21 must be subjected annually to mental health screening in order to detect signs of possible mental illness, autism, or depression. One of the criteria on the questionnaire used to identify mental health problems was that the child was ‘seeming to have less fun.’ The new screening stemmed from a lawsuit, Rosie D. v Romney that accused the state of falling down on its obligations to poor, mentally ill children. The federal judge in the case ruled in January 2006 that Mass. must improve its care, and the new requirement was the first step in the state’s court-ordered remedy plan. Families could decline the screening or pursuing further help. Medicaid would pay $9.73 to cover the testing of each child (over $4.4 million if all 460,000 kids were screened). 2008: AUSTRALIA: The Dept. of Health and Ageing paid The Royal Australasian College of Physicians (RACP) $135,000 to propose the guidelines for identification and treatment of ADHD. They recommended that all teachers be trained in how to recognize ADHD (using DSM-based checklists), that 22 ADHD centers be established around the country and that GPs become the “gatekeepers to referrals” to identify ADHD, treat it and refer kids to psychs. CCHR investigated and determined the RACP’s Committee comprised at least 6 members with drug company ties, with the Chair, Dr. Daryl Effron, on the advisory board of Novartis (Ritalin maker). 2008: April 30: SB 2939, NATIONAL GUARD & RESERVE MENTAL HEALTH ACT OF 2008, was introduced by Senator Edward Kennedy intended to “expand and improve the mental health care and reintegration programs for members of the National Guard and Reserve.” It called for the implementation and creation of a “Joint Psychological Health Program,” various pilot programs, and a campaign to reduce pejorative [disparaging] perceptions associated with mental health care.” Appropriations would be $8,035,000. A further $2,005,000 would be appropriated for the pilot programs and another $2 million for an Anti-Stigma campaign. 2008: May 15: Republican Patrick Kennedy introduced H.R. 6075, NATIONAL GUARD AND RESERVE MENTAL HEALTH ACCESS ACT OF 2008, which was similar to SB 2939. 2008: August 1: H.R. 3289, THE PROVIDING RESOURCES EARLY FOR KIDS ACT OF 2008 (PRE-K ACT) was introduced, expanding pre-school aged children receiving ‘‘Health and mental health screenings and referrals.” It was primarily aimed at low-income and military families. 2008: European Army medical officials were implementing the new Re-Engineering Systems for the Primary Care and Treatment (R-E-S-P-E-C-T) of Depression and PTSD (RESPECT-MIL) in the Military program, designed to help providers recognize warning signs and treat those disorders early. When soldiers visited their assigned primary care physicians for any reason, physicians would be expected to screen for PTSD. It was a model created by researchers at Duke University Medical Center, Dartmouth Medical School, and others. RESPECT-MIL initiative was developed at the Fort Bragg, N.C., RESPECT-MIL Center of Excellence, the organization leading the Army's worldwide implementation of the program. 2008: December: A new study claimed that one in five young adults had a personality disorder, including OCD, antisocial behavior or an “alcohol use disorder,” yet less than 25% of college-aged Americans with mental problems get treated. The study, published in the Archives of General Psychiatry, said alcohol and substance use “often lead to substance abuse and dependence.” About one-half (46.69%) of US 18 – 24 year olds were enrolled in college on a part-time or full-time basis. A survey was conducted based on diagnoses in DSM-IV criteria using the “NIDA Alcohol Use Disorder and Associated Disabilities Interview Schedule-DSM-IV version.” The conclusion was that “the vast majority of disorders in this population could be effectively treated with evidence-based psychosocial and pharmacological approaches.” The study was funded by government agencies, the New York State Psychiatric Institute and the American Foundation for Suicide Prevention (psych front group funded by Pharma). This act seeks to screen all pregnant women and new mothers for “postpartum depression” and has a federal incentive in order to get more women on drugs. The bill claims that the only “medical treatment” that works on treating postpartum depression is “medication.” This bill was introduced last session and passed the House overwhelmingly. The efforts of CCHR and our allies stopped it from being marked-up in committee, but it is now back in the House Energy & Commerce Committee. S. 57 – PSYCHOLOGISTS IN THE SERVICE OF THE PUBLIC ACT OF 2009. This bill amends the Public Health Service Act to establish a psychology post-doctoral fellowship program making grants available to psychologists to enter into contracts with eligible entities to provide services in underserved treatment areas. If the psychologists still agree to the terms for at least 1 year after the grants expire, they can be eligible for a portion of the $5,000,000 of federal funds allocated to the program for the fiscal years 2010 through 2012. This bill amends the Public Health Service Act to provide health care practitioners in rural areas with training in preventive health care, including both physical and mental care, and for other purposes. It includes the following language: “Such training shall, to the extent practicable, include training in health care to prevent both physical and mental disorders before the initial occurrence of such disorders.” The bill appropriates $5,000,000 for the fiscal years 2010 through 2013 to carry out its purpose. The bill was referred to the Senate HELP Committee on 1/6/09. This bill amends the United States Code authorizing the use of clinical social workers to conduct evaluations to determine work-related emotional and mental illnesses. It broadens the number of people that could diagnose work-related emotional or mental illnesses to clinical social workers, the lowest rung on the ladder of psychs. The bill was referred to the Committee on Homeland Security and Governmental Affairs on 1/6/09. The bill has been referred to the Committee on Finance on 1/6/09. The bill amends the Federal Food, Drug, and Cosmetic Act prohibiting the marketing of authorized generic drugs. It appears as though generic drugs can be sold, but not marketed to the public like other drugs. This bill is a “sense of Congress” bill that directs Congress and the President to introduce and sign into legislation laws that enhance the national security of the U.S. by doing four things, including “ensuring our Armed Forces receive…support and medical care when they return home (which by previous legislative efforts will include screening for PTSD).” Since this bill is just a “sense of Congress” bill, it has already been read twice and placed on the Senate Legislative Calendar for a vote – and it did not go through any committees. So we will have to be alert to any bills that get introduced after this that follow this directive. The is another “sense of Congress” bill that contains legislation designed to guarantee health coverage, improve health care quality and disease prevention, and reduce health care costs for all Americans and the health care system. In other words, it proposes that universal coverage of some kind should be passed, which would include mental health coverage. This bill is also a “sense of Congress” bill, read twice, placed on the Senate Legislative Calendar for a vote and has not gone through any committees. So we will have to be alert to any bills that get introduced after this that follow this directive. The bill has been referred to the Senate HELP Committee on 1/14/09. This bill is another “sense of Congress” bill that directs Congress and the President to introduce and sign into legislation laws that would expand educational opportunities for all Americans by “improving accountability and assessment for elementary and secondary school students.” There is no mention of “mental health” or “screening” or the like, but these “assessment measures” would entail some form of evaluation of the student that opens the door for Special Education, etc. Early childhood intervention is right out of the New Freedom Commission’s recommendations. Since it is a “sense of Congress” bill it has already been read twice and placed on the Senate Legislative Calendar for a vote – it did not go through any committees. So we will have to be alert to any bills that get introduced after this that follow this directive. This bill amends the Social Security Act to provide mental health parity under the State Children’s Health Insurance Program (SCHIP) in states that already cover both medical and surgical benefits and mental health or substance abuse benefits to make mental health coverage. The bill was referred to the Senate Finance Committee on 1/6/09. This bill amends the Social Security Act to repeal the Medicare outpatient rehabilitation therapy caps. It allows the federal government to pay for all outpatient treatment for everyone over 65 until they die, including mental health outpatient treatment. Recognize that the real problem is that psychiatrists fraudulently diagnose life's problems as an "illness", and stigmatize unwanted behavior or study problems as "diseases." Psychiatry's stigmatizing labels, programs and treatments are harmful junk science; their diagnoses of "mental disorders" are a hoax - unscientific, fraudulent and harmful. All psychiatric treatments, not just psychiatric drugs, are dangerous, and can cause crime. Psychiatrists, psychologists, psychotherapists, psychiatric institutions, and other medical doctors prescribing psychiatric drugs and treatments must be made fully accountable for their funding, practices and treatments, and their results, or lack thereof -- including prescribing antidepressants whose only results are harmful side effects. If you think you or someone in your family has experienced a serious reaction to a medical product or drug, you can take the reporting form to your doctor (who is not required to report adverse reactions) or you may complete the Online Reporting Form yourself via the Internet, or you may download, print, complete and mail the MedWatch Reporting Form.